The Wailing Souls are part of the small surviving group of roots Reggae originators still musically active today. This legendary group dates back to the late 1960’s. On their live shows, the Wailing Souls hit songs keep coming one after another. These are songs we are all familiar with, that are relevant today and in the years to come. “It is the act of affection that puts my love into motion.” In 2009 they did the Raggamuffin Festival in Long Beach, CA, the Houston International Festival, The Bonnaroo festival, the California World Festival, the Sonoma County Fair and the Midwest Reggae Festival amongst other shows. Touring alongside the Wailing Souls is the integrity roots artist, Prezident Brown. In July 2009, in support of his new release, Common Prosperity,Prezident Brown performed at the Reggae Rising festival in Piercy, California, the Eugene Celebration in Eugene, Oregon and the Monterey Bay Reggaefest in Monterey, California within a western U.S. tour. Prezident Brown is a substantial artist with a beneficial message, who is well loved and respected by the people. He is consistently a hard working artist, who keeps performing live and putting out new CD’s to bring truth and light to the masses. He has a more subtle, understanding character than most of the other current reggae artists in this time. Fusing the harmonies of Motown with reggae, the Wailing Souls persist as one of the most powerful forces in Jamaican Gold – reggae music. In the 70’s, The Wailing Souls attracted interest from the preeminent Reggae Producer Coxsone Dodd, and together they began a fruitful recording career. 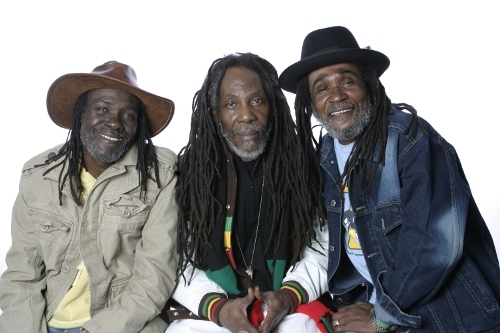 Four decades later, the group has amassed three Grammy nominations, has been critically lauded for albums released by Island, Tuff Gong andCBS Records, and has gained a widespread international following. The Wailing Souls saw large success in the early 90’s featuring songs on soundtracks including the certified gold album for Disney’s film Cool Runnings. Their 1992 album All Over The World also achieved a great deal of success for the group, selling over 800,000 copies. They have now released 27 classic albums. Prezident Brown has been very well received in the United States, where he has continued to tour hard and build his fan base. He is a champion of the new roots and reality consciousness reggae movement that entertains, informs and inspires. Prezident Brown has now recently released a new CD, entitled Common Prosperity, produced by his bass player Devon Bradshaw and Ian Coleman. Ian Coleman known as “Beezy” has been the guitarist for Ziggy Marley for the past twelve years. “It’s a rough road, as I trod along, guide I oh Jah with thy mighty hand. It’s a rough road and I have to make my foot steps sure” chants Prezident Brown. “Things and time will tell” – sing the Wailing Souls. “Jah Jah give us life to live, so let us live.” and “Kingdoms rise and kingdoms fall – Babylon’s back is against the wall”- are some of their proverbial hooks. The Wailing Souls and Prezident Brown are now rising; ready to continue bringing their powerful music and message to the world. This tour features a great package of conscious roots reggae music. The Wailing Souls have been producing great music since the 60’s. Originally the Renegades, Lloyd "Bread" McDonald and Winston "Pipe" Matthews recorded backing vocals for Ernest Ranglin. Shortly after this they began making big tunes for Sir Coxsone Dodd of Studio One. Some of these recordings are regarded as some of their their best work. A big break in the early 80’s brought "Pipe and the Pipers" to Tuff Gong, Bob Marley’s label. Solidifying their own style, raw vocals and fat harmonies, combined with a gifted ability to put words to music, The Wailing Souls were able to make music that touched the masses. Prezident Brown, born Fitz Albert Cotterell, has been called, "one of the most interesting cultural dee-jays since U Roy". Emphasizing positive messages, Prezident Brown has continued to pioneer his own direction, developing his own approach to dee-jaying that he calls, "The chanting stylee". Born to a Seventh Day Adventist family in Colonel Ridge, Clarendon, Prezident Brown grew up in the small town of Oracabessa in the Parish of St. Mary, Jamaica. He was forced to leave school at a young age when his father died leaving him with his mother and three sisters. Prezident Brown launched his musical career at the age of fourteen, when he began dee-jaying for the Sound King Stereo Mix at the Bamboo Lounge. Initially known as Junior Ranking, Prezident Brown was dubbed, "Slim Brown", by dee-jay Nicodemus. When he recorded his debut single in 1988 Prezident Brown was named, "Dancehall Doctor". The late Jack Ruby, producer of Burning Spear’s albums, “Marcus Garvey”, and, “Man In The Hills”, bestowed the title, “Prezident”, upon him. In 1989, he joined Courtney Cole’s label, Roof International, and began performing and dee-jaying at the Rooftop Club in Ocho Rios. In 1990, Prezident Brown became involved with producers Barry O’Hare and Steven Stewart at Grove Music in Ocho Rios. It was Barry O’Hare’s X-Rated Record label that became Prezident Brown’s home base and it was X-Rated Records with Runn Records that launched his career in Europe. In Jamaica the X-Rated label took off as a massive roots revival swept across the country paving the way for Prezident Brown’s conscious style of reggae dee-jaying. In 1999 the Jamaican record label Kariang released the timeless, “To Jah Only” album. In 2002, Jahmani Productions released a 2 CD disc called, “Showcase Volume 1”. The 46 show tour that followed that release took Prezident Brown across the United States and included performances at The Sierra Nevada World Music Festival, and Reggae On The River. Jahmani Productions then released “Showcase Volume 2”, and “Showcase Volume 3” which includes a live performance from the 2002 Mt. Shasta Renegade Music Festival. In 2004 the German based label Chet Records with Sony Records released the album, “Generation Next”. Prezident Brown’s most current release is entitled, “Showcase Volume 4 Health and Strength”. Prezident Brown now lives in Ocho Rios, in the Parish St. Ann, Jamaica. He continues to record and tour. 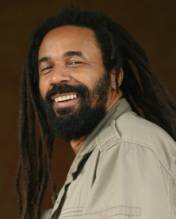 He has developed a strong following in the United States and Europe, and continues to grow musically and in notoriety, as a champion of the new roots and reality consciousness reggae movement. Prezident Brown entertains, informs and inspires. His latest CD, Common Prosperity, was released in July 2009, just prior to a western U.S. tour. Prezident Brown is well pleased with this album and feels it is some of his best work to date. Prezident Brown is a serious reggae revolutionary who keeps persevering as a defender of the faith.